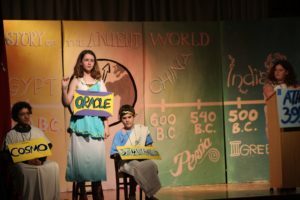 Congratulations, 6th grade, on a fabulous performance of History of the Ancient World! 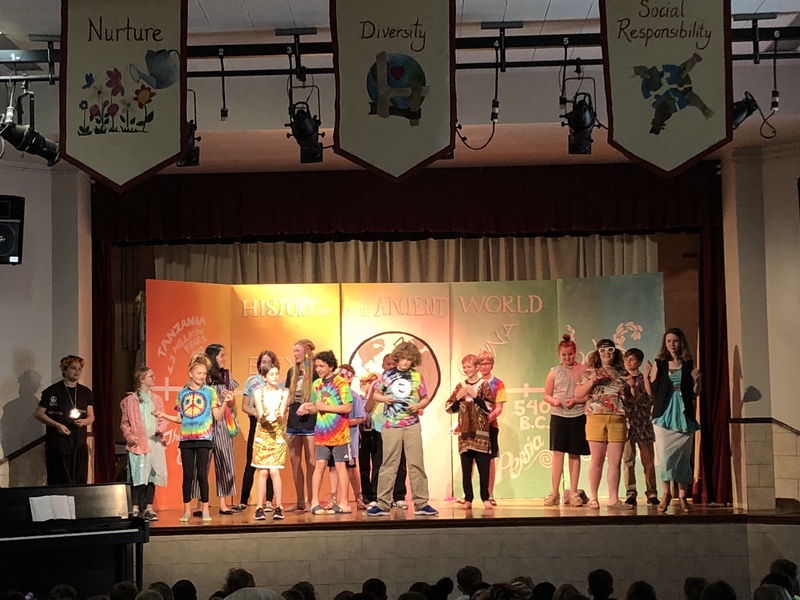 Thank you parent volunteers Ms. Erin Crowley and Mr. Michael Zarou for your help on this wonderful production! 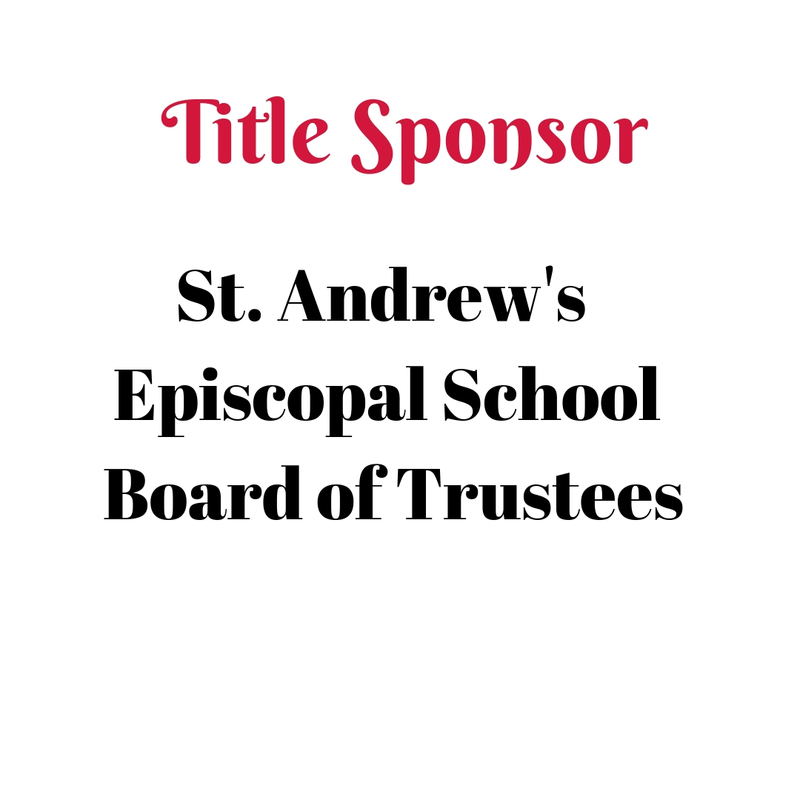 On Tuesday, March 19, 2019 the Board of Trustees announced the appointment of Mrs. Kathryn Fitzpatrick as the new Head of School at St. Andrew’s Episcopal School. 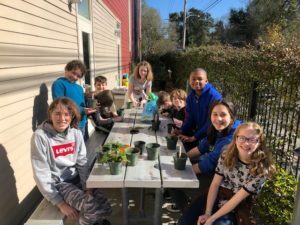 Mrs. Fitzpatrick was hired to serve as the Interim Head of School on July 1, 2018. She graduated from Ursuline Academy in New Orleans and earned a BA in History from Louisiana State University. 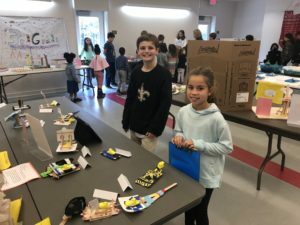 She holds a Masters in Curriculum and Instruction from the University of New Orleans, and she is currently working on her Doctor of Education with a concentration in Executive Leadership at University of Holy Cross, graduating in December 2019. 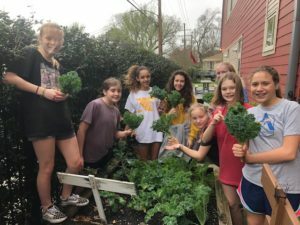 “Kathryn Fitzpatrick exceeded the expectations of what could be accomplished this year. 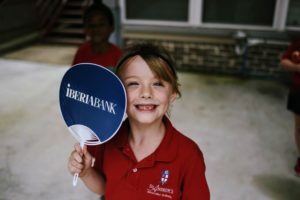 The Board and community desire stability and strong leadership, and we have found that in Mrs. Fitzpatrick,” said Chair of the Board of Trustees Betsy Sterkx. 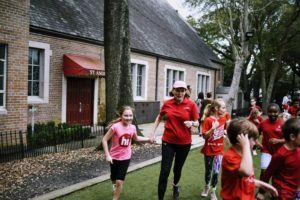 “I am very excited about the opportunity to lead St. Andrew’s Episcopal School as the eighth Head of School. 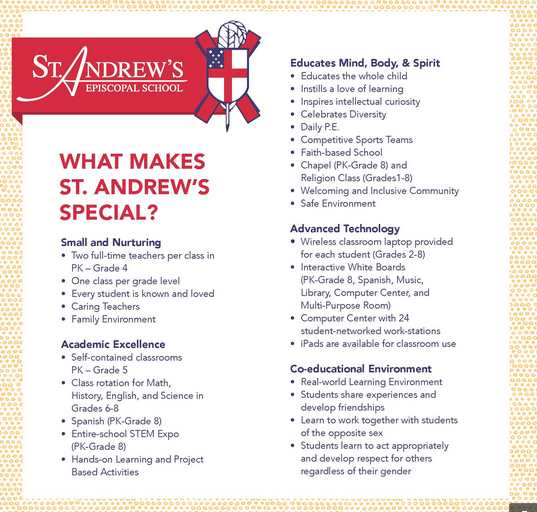 We have an unbelievable faculty and staff at St. Andrew’s who work tirelessly on behalf of the students. 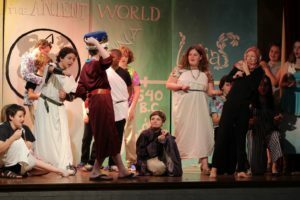 Our parents are very supportive and generous with their time and talent. I look forward to getting to know the alumni, alumni parents, grandparents and all of our constituents. 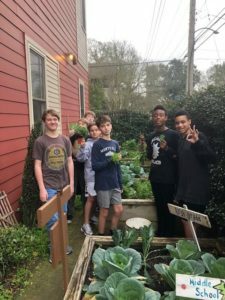 I was drawn to St. Andrew’s because of the small, nurturing environment where each child is known and loved. 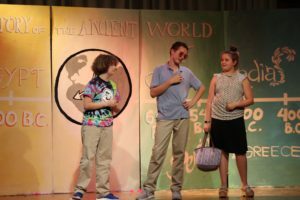 I look forward to leading St. Andrew’s into the future,” Mrs. Fitzpatrick said. 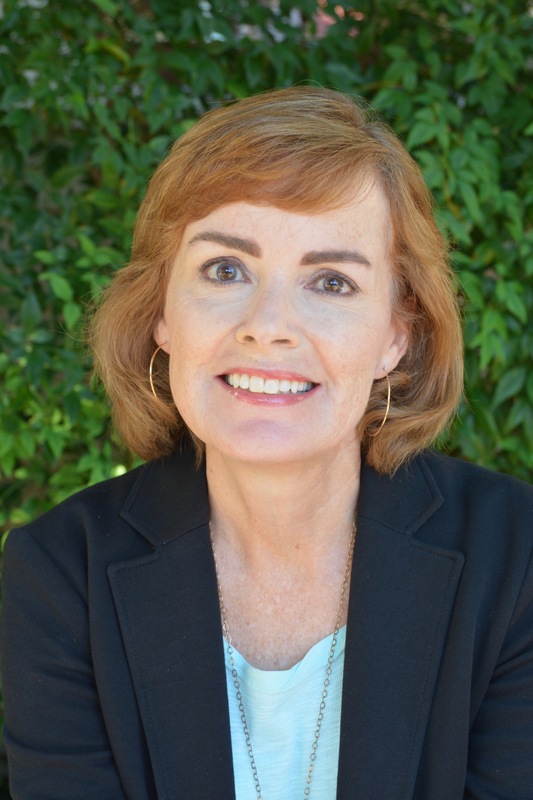 Please join us in thanking Kathryn Fitzpatrick for her good work and for accepting the Head of School position. 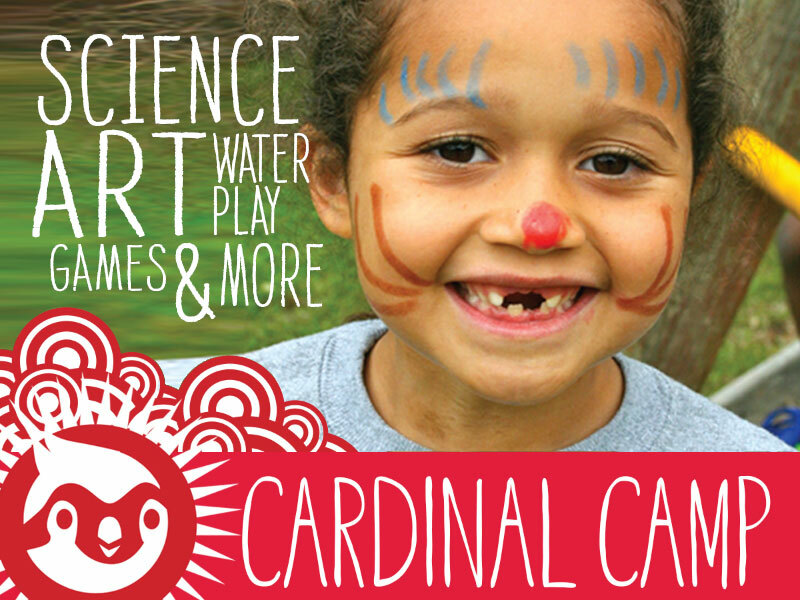 Cardinal Camp Registration for Summer 2019 is now open! 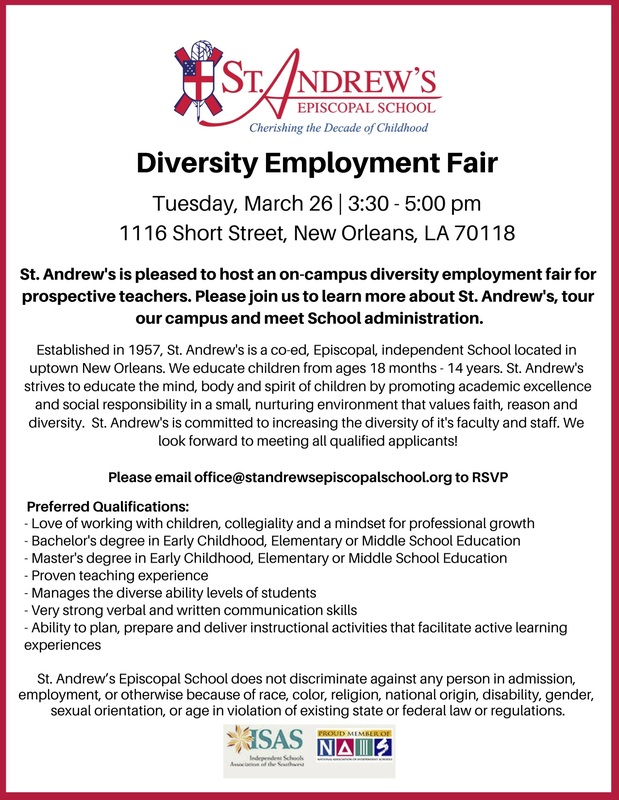 St. Andrew’s Episcopal School will be hosting a Diversity Employment Fair on Tuesday, March 26 from 3:30 pm until 5:00 pm. 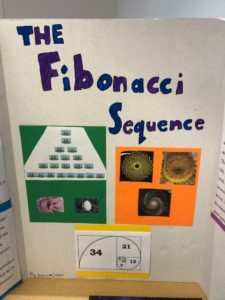 Please help us to spread the word by sharing the information with prospective teachers you may know. We will have a presentation and tour of our campus. Questions, call 504-861-3743. 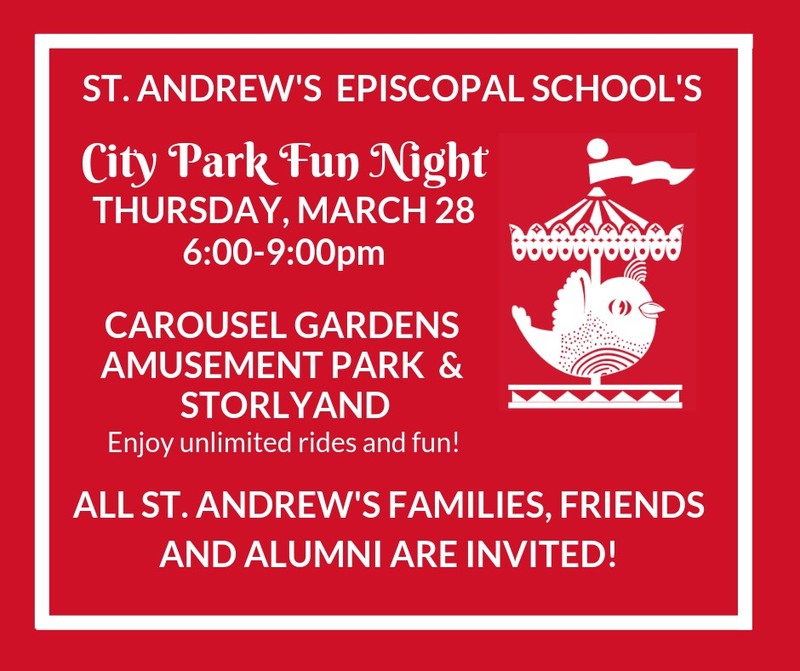 Please join us for St. Andrew’s City Park Fun Night! All families, alumni and friends are invited on Thursday, March 28 from 6:00-9:00pm. 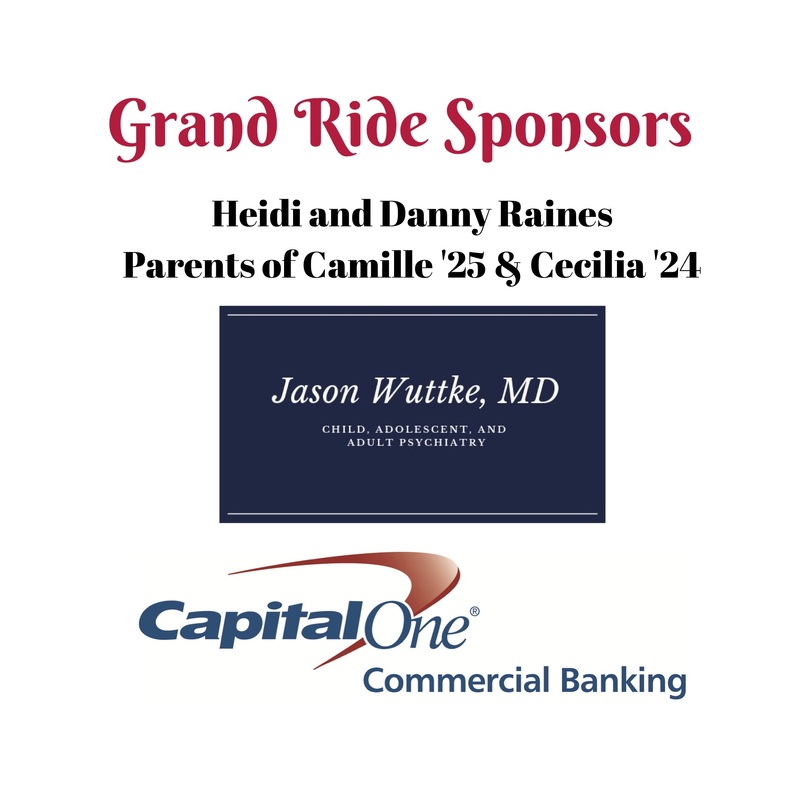 Sponsorships and tickets may be purchased online HERE. All proceeds benefit St. Andrew’s. 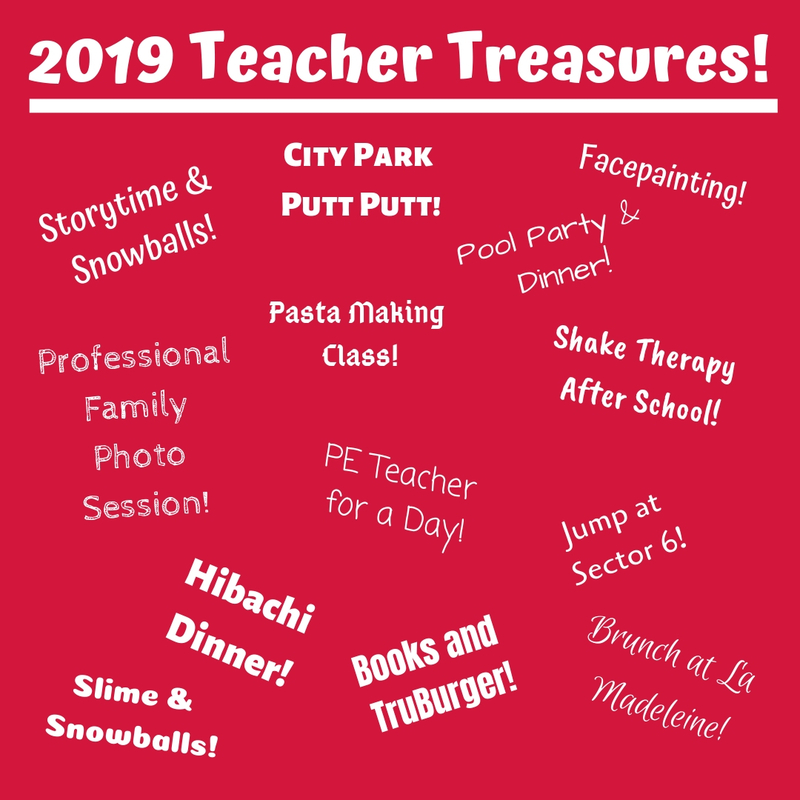 St. Andrew’s “Teacher Treasure” Silent online Auction will be open from Monday, March 25 – Monday, April 1! Please click here to register and preview items! 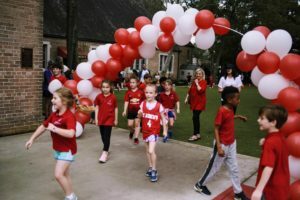 Our Kinderbears led a magnificent English-themed parade on March 1st, 2019. 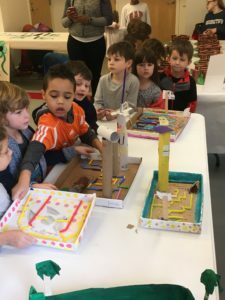 Our royal procession was followed by our Rainbow Fish and Cottage students. 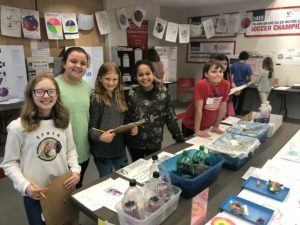 Thank you, parents and teachers, for making this fun day possible! 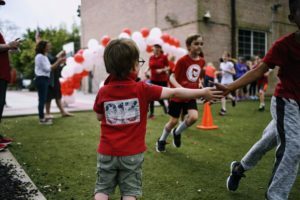 Cardinals on the Run was a smashing success! 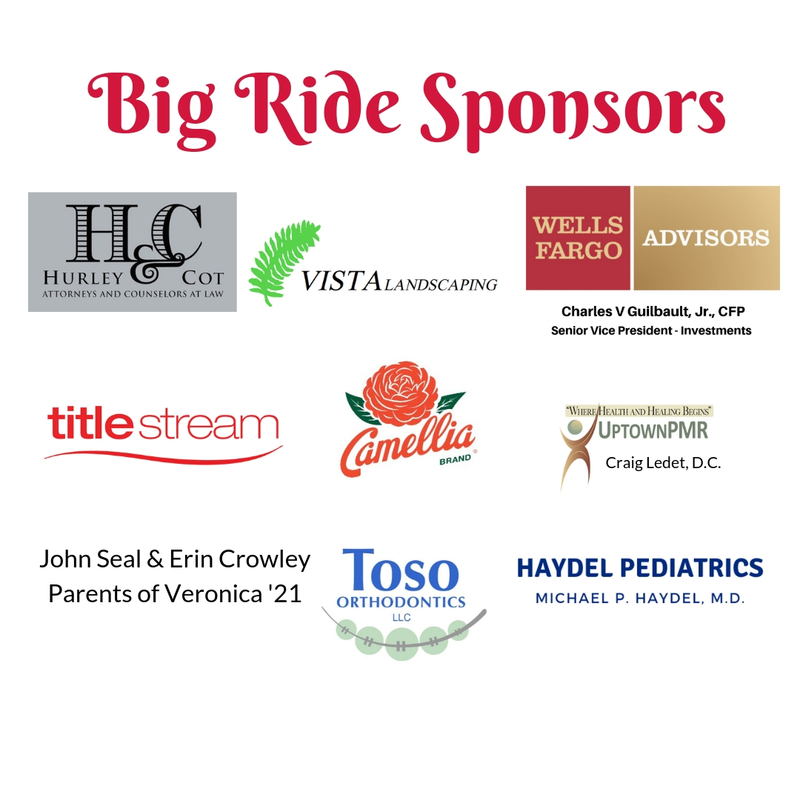 Thank you to everyone for supporting this new school fundraiser, particularly all the sponsors, parent volunteers and friends who came to cheer! 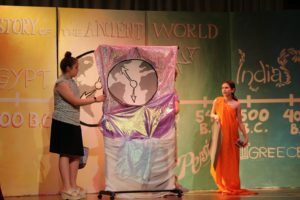 Every student participated, from the Honeybees to the 8th grade. 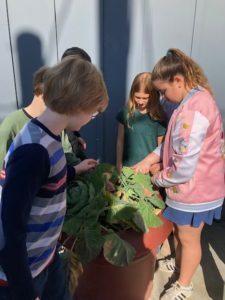 Here are our 6th and 7th graders practicing the art of gardening on campus! Thanks to Ms. Erin Crowley for her continued work on this wonderful gift on our campus we enjoy every day! 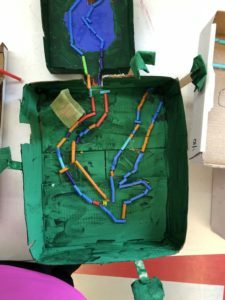 Our S.T.E.A.M. 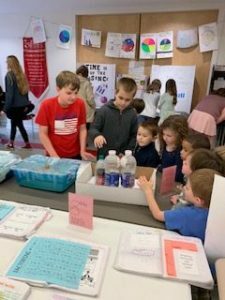 (Science Technology Engineering Art and Mathematics) Fair on February 8th featured many engineering projects and creative applications of science of all St. Andrew’s students, Pre-K through 8th grade.